Rob Burrow’s Under 19 side produced a determined performance in the wet and wind at Coventry’s Butts Park Arena to secured a 20-14 win. 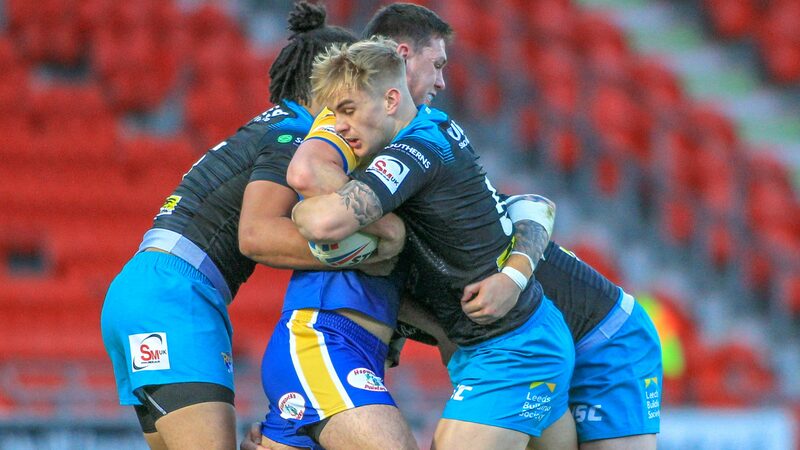 The side included nine players who featured in last year’s Academy Grand Final against Wigan with first team squad members Tom Holroyd, Liam Sutcliffe, Corey Johnson, Muizz Mustapha and Owen Trout all included in the starting line up. There was also a chance for Rhinos fans to have a look at the future with six first year players in the squad who made their first appearances for the Academy. The Rhinos scored on their first attack as Corey Johnson broke out from dummy half and evaded the cover to get over. Harvey Spence added the conversion to make it 6-0 after seven minutes. Coventry, who had suffered a heavy defeat against a more experienced Rhino side twelve months earlier, were much improved a year on and the hit back soon after. Their first try came after the ball was spilled out wide and Hayden Freeman was fastest to react to collect and scored. 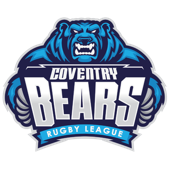 The conversion attempt was missed but the Bears soon took the lead when Errol Carter proved too strong to stop near the line. Callum Merrett added the conversion to give his side a 10-6 advantage. The lead changed hands again after 29 minutes when Johnson and Jack Broadbent combined to put Owen Trout over for the try. Spence added the conversion to give his side a 12-10 lead. Jacob Jones gave the Bears the lead at half time when he got his hand to a low kick on the last tackle. Merrett added the conversion to make it 16-12 at the interval. The Rhinos nearly scored with the final play of the first half but did level the game within a minute of the restart. Liam Whitton produced a superb finish down the touchline to make it 16-16. As the game went on the weather continued to become a major factor in the game as the Coventry pitch began to cut up inevitably. Both teams were struggling to keep control of the ball and the next score looked like it would be crucial. And it was the Rhinos who got the crucial score when first year Academy player Joe Burton showed great strength to hold off the defence and get the ball down. Spence was off target kicking into the wind but the Rhinos now led 20-16. Leeds had to produce some strong defence to keep Coventry out but they manage to dominate the majority of possession after that to keep the ball in the Bears half for long periods. 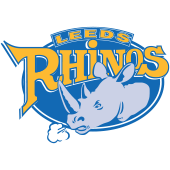 Despite Owen Trout, Harry Georgiou and Iwan Stephens having great opportunities to score, the Rhinos managed to hold on for the victory.